Navies can intercept Somali pirate skiffs and foil hijackings but fighting waves of attacks at sea will not solve the problem, which is rooted in instability on land in Somalia, naval leaders say. 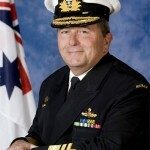 Anti-piracy efforts “will not actually resolve the base problem of why piracy is occurring … That solution lies in the stabilisation” of Somalia, Commodore Bob Tarrant, director of Britain’s Royal Navy staff, told AFP at the Indian Ocean Naval Symposium (IONS) in Abu Dhabi. 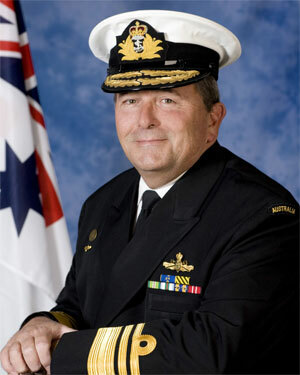 “The symptoms (piracy) we’re seeing now off Somalia, in the Gulf of Aden, are clearly an outcome of what’s going on on the ground” there, said Australia’s navy chief, Vice Admiral Russell Crane. “As sailors, we’re really just treating the symptoms,” not the root of the problem. Nonetheless, naval efforts against Somali pirates, which were stepped up between late 2008 and early 2009 in response to a spike in attacks along one of the world’s busiest shipping routes, must be continued, IONS participants said. Various anti-piracy task forces have been operating off the Horn of Africa for more than a year now, but attacks are continuing. Somali pirates attempted 217 attacks over the course of 2009, according to the International Maritime Bureau, which monitors maritime crime. There were another 35 attempts between January and March this year, IMB said, a decline of 27 from the same period last year. IMB director Pottengal Mukundan has said he fears there will be even more hijackings this year than in the past, noting that pirates are now operating over a wider area than they have before. Navies engaged in anti-piracy efforts face other difficulties, in addition to combating an ultimately land-based problem at sea. There are a plethora of naval forces — including the US-led Combined Maritime Forces, an EU force, one from NATO, and independent deployments from Russia, China, India, Iran, and other nations — operating against the pirates. The various forces coordinate with each other, but do not operate under a unified command structure. This means they are not as effective as they might be, two admirals said. “I think we could do it a lot better if we came together as a single group of international navies,” said Crane. With a unified command structure, “maybe one-third of the ships could achieve a similar effort, if they were unified and coordinated,” said retired admiral Arun Prakash, who served as India’s chief of naval staff. It is also difficult to try to convict captured pirates in court. “Right now, ships are patrolling, and even if they capture the pirates, it is very difficult to take them all the way back” to the ships’ home country, Prakash said. And “when they reach home, you’ve got to produce witnesses, you’ve got to prove beyond a reasonable doubt that they’re guilty. All of that is a very difficult exercise,” he added. The alternative — trying them in countries near Somalia — can also pose problems. “If you hand them over to some other state, it is possible that there may be human rights violations,” Prakash said. “Most of the neighbouring states which are affected by piracy off the coast of Somalia still have different laws on the subject of piracy,” said Paul Wambua, a Kenyan specialist in maritime law. That makes it “very difficult to have a common approach in punishing pirates who are arrested at sea,” Wambua said at IONS. Prakash suggested that the UN form “an international court … locally in one of the countries” to try pirates. Somalia has been bereft of a stable government and torn by civil war since the 1991 overthrow of president Mohamed Siad Barre. Somali piracy figured prominently in discussions at IONS, which brought together representatives of 32 navies that operate in the Indian Ocean.